These are principles of proper dressing, which I assume will therefore be subject to the reader’s prayerful interpretation. Note: don’t let the word “rules” scare you. Rules are just pre-made decisions! #1 Dress neatly ~ in clothing that is wrinkle-free, well-fitting, in good repair. Avoid fashions that look shabby, or like rags. #2 Dress cleanly ~ in clothing that looks, smells, feels, and is clean. #3 Dress healthfully ~ in clothing that is neither too warm nor too cool, that does not compress or distort any part of the body in any way, etc. #4 Dress comfortably ~ Don’t sacrifice comfort for appearance or fashion. It is possible to be both neat and comfortable. #5 Dress appropriately ~ for the occasion, for what you are doing, for your age, for the customs of society, for your finances, etc., provided doing so does not violate any other principle. #6 Dress modestly ~ Be adequately covered. Do not dress seductively or pretentiously. Do not dress to draw undue attention to yourself. 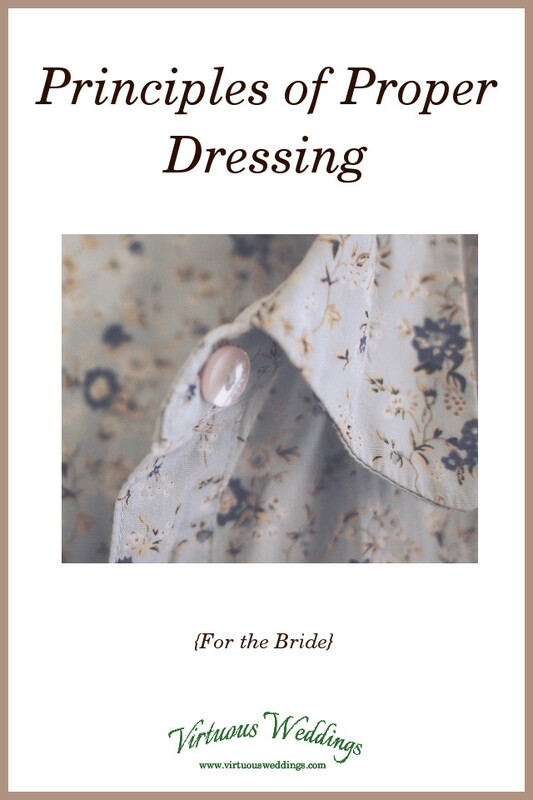 Be careful that your dress does not do these things even if you don’t intend for it to. 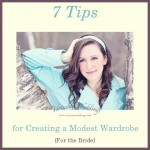 #7 Dress femininely ~ Don’t wear men’s clothing. Don’t dress in such a way that you might be mistaken for a man, or that it might appear that you wish you were a man. Dress in such a way that makes you feel feminine and look feminine to yourself, and so far as possible, look feminine to those around you. Also, dress in a manner that expresses and is in harmony with true womanhood. “Feminine” in the context of godly womanhood ~ woman as God intends her to be ~ is not merely the opposite of “masculine.” It exemplifies the virtues of true womanhood, which are not altogether different from the virtues of true manhood but which are certainly different from most fashion that we see in the world. Dress worthy of true womanliness. 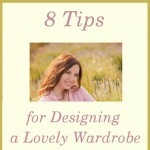 #8 Dress becomingly ~ in clothing that is pleasing, not repulsive, to the senses. Choose colors and styles that complement you. #9 Dress independently ~ Don’t follow the fashions. Dress as you should and not as others do. As long as the other principles are kept, dress according to your own tastes. #10 Dress simply ~ “In like manner also, that women adorn themselves in modest apparel, with propriety and moderation; not with broided hair, or with gold, or with costly array” (1 Timothy 1:9, mar.). And, even in your attempts to follow these principles, do not let dressing consume your time, money, energy, and thoughts “. . . for after all these things do the Gentiles seek . . .” (Matthew 6:32). And how well-dressed you will be!